Conclusion: the complementary perspectives of the Metaphysical Foundations and the first Critique. 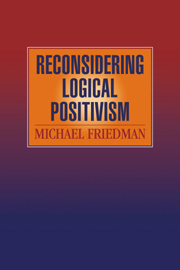 Michael Friedman is Frederick P. Rhemus Family Professor of Humanities, Director of the Patrick Suppes Center for the History and Philosophy of Science and Professor of Philosophy at Stanford University. 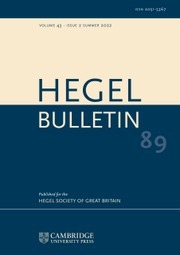 His more recent publications include Reconsidering Logical Positivism (Cambridge, 1999), A Parting of the Ways: Carnap, Cassirer, and Heidegger (2000) and Dynamics of Reason: The 1999 Kant Lectures at Stanford University (2001). 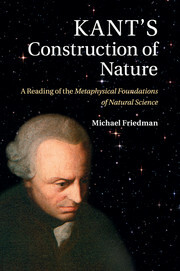 Friedman is the editor and translator of Immanuel Kant: Metaphysical Foundations of Natural Science (Cambridge, 2004) and co-editor of The Cambridge Companion to Carnap (with Richard Creath, Cambridge, 2007).